The screen-printing process is quite similar to the woodblock printing technique. Each design is broken down into colour layers, which are then engraved onto screens. The printer will move the screens along the table and transfer the colour using a squeegee. The main benefit of this technique is that it allows the reproduction of designs of which the woodblocks don’t exist anymore. 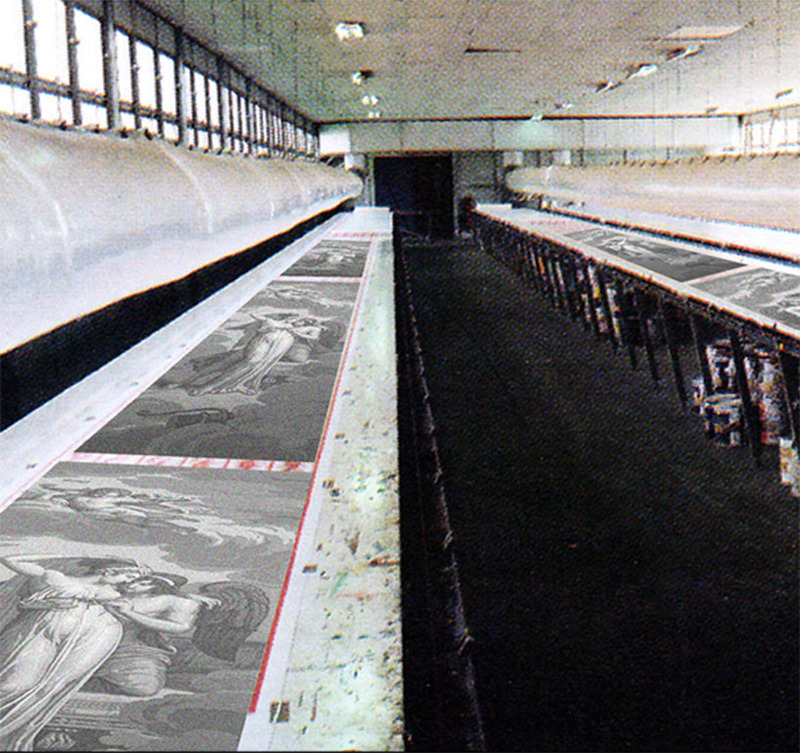 The Zuber factory is one of the last in the world to use this printing technique.